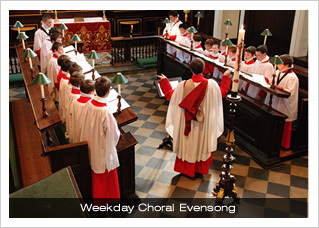 Choral Evensong is sung at All Saints on Wednesday and Thursday at 6:00PM. On Wednesday it is sung by the Boys Choir. On Thursday it is the turn of our Girls Choir.